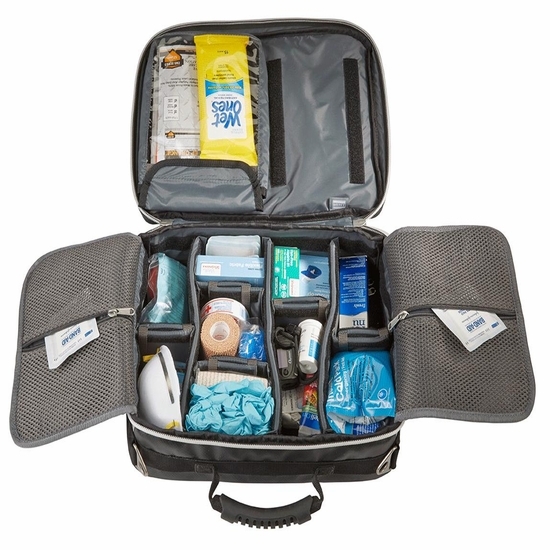 The G2™ PRO Grab 2 Go Quick Aid System is the perfect BLS bag for the first responder who wants a small but very organized solution for their equipment. As a miniature version of the popular OMNI PRO™, the G2™ PRO offers the same customizability but in a smaller briefcase style design. Built from the strongest materials and a smart design, and the versatility to modify to your requirements, the G2™ PRO delivers a customizable and organized solution to rapidly access your equipment. Constructed from waterproof, durable, wipe-clean tarpaulin that’s designed to easily clean and remove blood borne pathogens, this infection control response bag is perfect for EMT’s, businesses, school nurses, or any professional that needs a smaller, organized response bag. 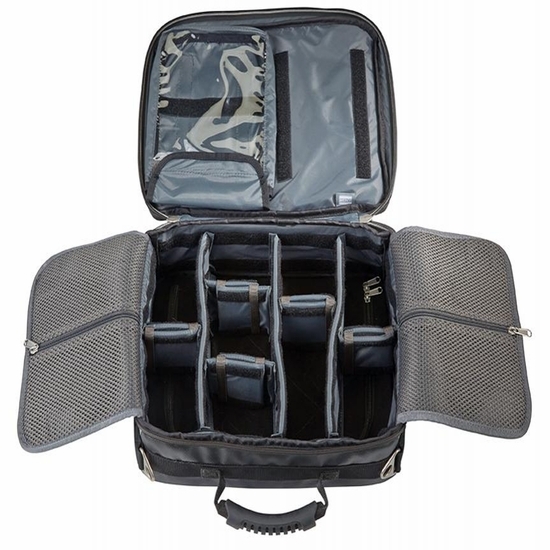 The G2™ PRO’s internal main compartment can be completely customized for small and large items using the innovative mini-SLIDER system. Overlapping panels secure internal contents and provide access to TS2 Ready™ DEEP STUFF Pockets and STICKIT STRIPS. An outer zippered pocket provides organization for pens, phones, or any other smaller items you would typically carry in your personal briefcase. 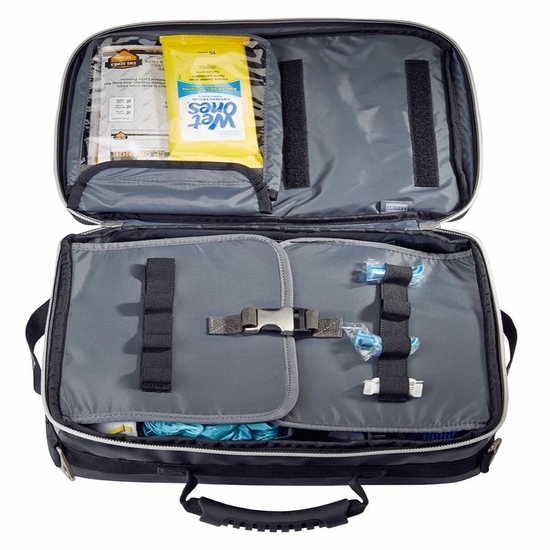 Using OneView™ technology, the bag opens completely facing one direction, providing access to all compartments without moving the bag. A system of grommet holes allows all compartments to be air dried while the bag is completely closed. 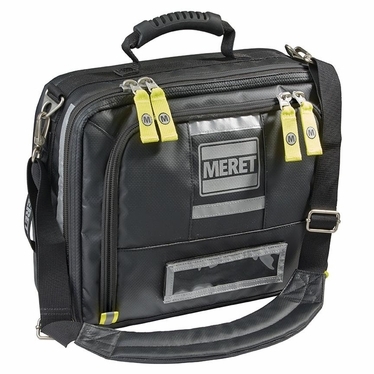 The bag is ergonomically designed and can be grabbed from any position using a system of light weight handles. The G2™ PRO is available in infection control black, constructed from waterproof, durable, wipe-clean tarpaulin and is designed to be easily cleaned to remove blood borne pathogens. Supplies shown in images are not included. Product Dimensions: 15" x 12" x 6"